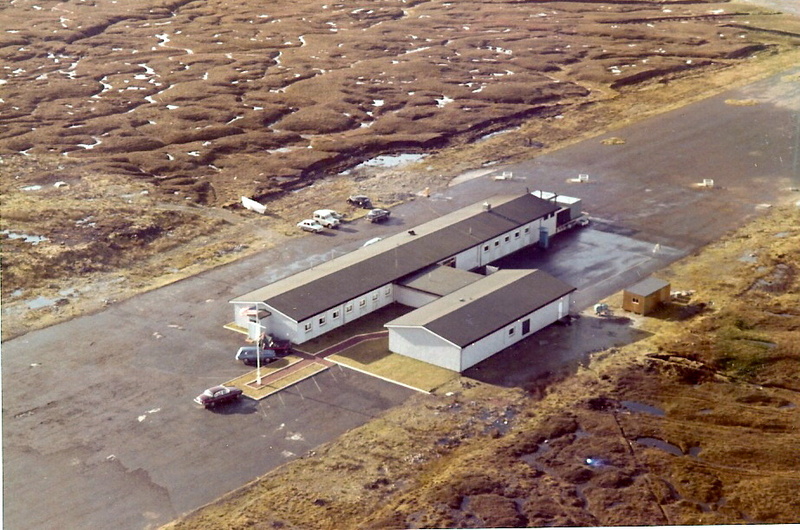 Loran Monitor Station Shetlands circa 1968 taken by Charles "Mac" McLean, from a RAF Beaver. 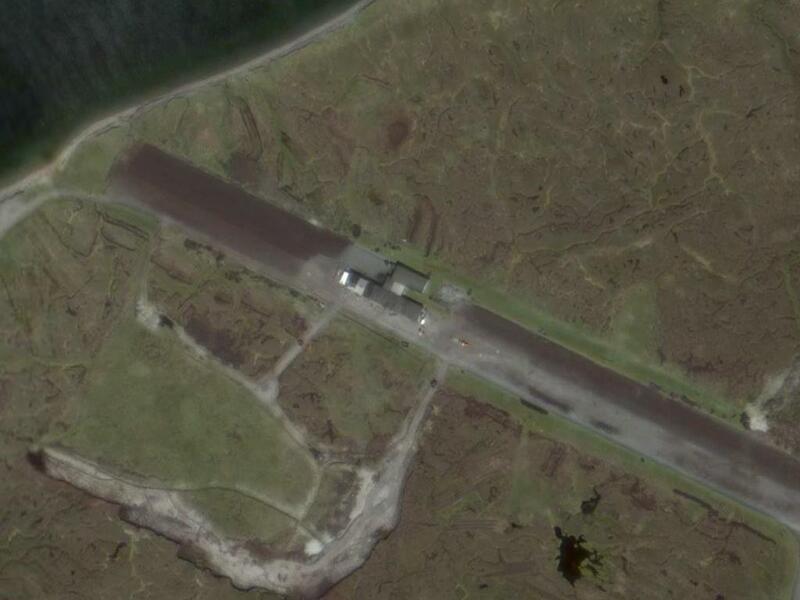 Station was near seaplane ramp. Masts are for the horizontal log periodic hf antennas. Station was demolished in '06/'07, and the site now has a salmon farm. 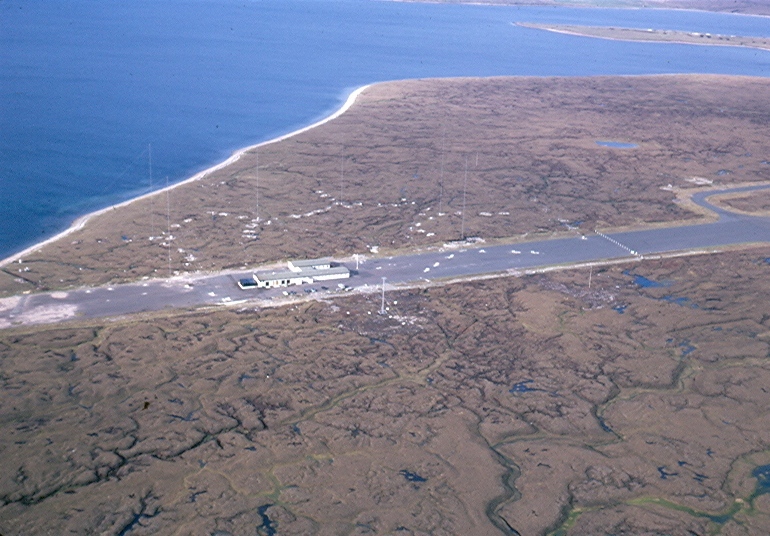 The old airbase was resurrected for North Sea personnel and logistic flights. Interesting note: The airbase was one of the major British civil engineering efforts just prior to and just after the start of WWII. Regular raids were flown from Norway. Pipes were laid prior to the tarmac and contained explosives to render the field useless in the event of a German invasion of Shetland. They were still in place with wiring and detonators when the station was built. Finally removed during the construction of the new facility. This is the CG Ensign broken at commissioning of LORMONSTA Shetland Islands and struck when damaged during full gale (first of many to come) at station. Ensign was fouled in halyard sheave, thus torn portion. 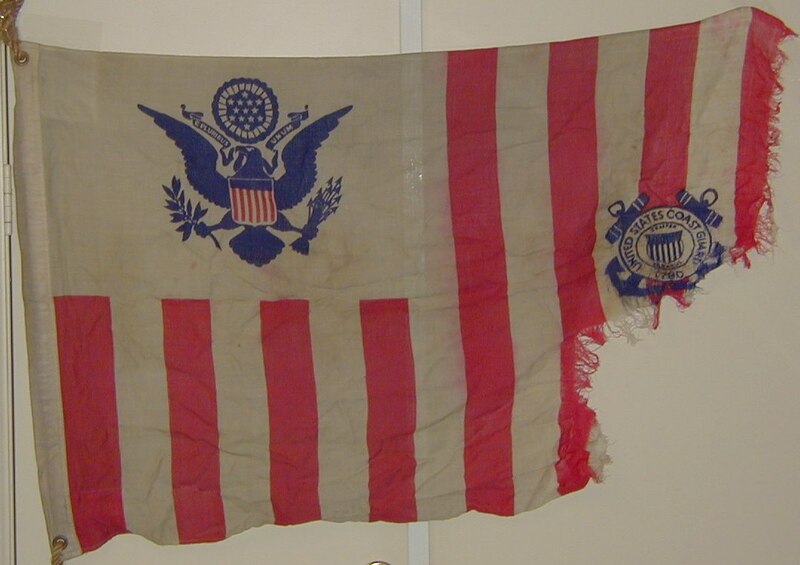 This may be the first CG Ensign flown from a commissioned shore station in the UK, or the first since WWII.